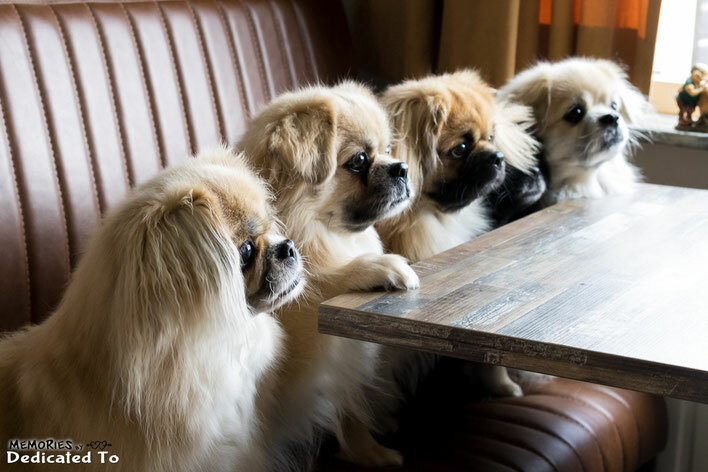 We are two sisters, Sandra & Maria, who are Dedicated To ... Tibetan Spaniels. We are living in a little village, named: Nieuw Amsterdam, not far from the German border. It's in the northeast of the Netherlands. We are a small en selective kennel, all our tibbies are living like family members in the house and love to lay down on the sofa and watch TV. 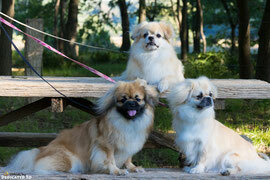 In the end of the year 2000 we bought our first Tibetan Spaniel. His name is Buster de Koggen (Dutch & Luxembourg Champion). 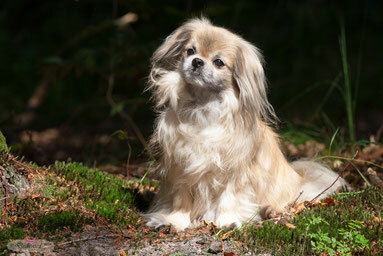 His breeder is Joke Hollebeek-Kok. With him our dedication has started for Tibbies. After a few years only to have showed with our tibbie males we had gained the necessary experience of the breed and what type of tibbie we loved. In the year 2003 we decided to start breeding and to give our contribution to this splendid breed and we applied for our prefix. In the year 2005 we bred our first litter. Under the device "We have a dream..." we try to breed healthy and breed typical tibbies with a social and sweet character and this in all colours. For us it is important to have a wide foundation of blood lines from foreign countries. We search always for interesting blood lines with a variety of colours and with sound quality of tibbies and ofcourse with excellent health. We try to go alot abroad for showing and to meet other breederfriends, it is a great opportunity to share experiences and to learn more about the tibbies abroad. Our first Scandinavian import is our Multi Champion male, P'zazz Shylo from Sweden. Our first girl that we import is Dutch Champion Chrystal Mountain Esperanza, our splendid Black & Tan girl from Finland. They have retired and are living together and are the most wonderful petdogs in the world! From the second litter with CH. Chrystal Mountain Esperanza with sire Multi CH. P'zazz Shylo from Sweden we kept a boy named; Dedicated To Just Living My Life "Jamy". Our Jamy is a star in the showring and he is just like his daddy Multi Champion and on the age of 3 years old he is the most winning tibbie in the Netherlands & Germany for the years 2007, 2008 & 2009. 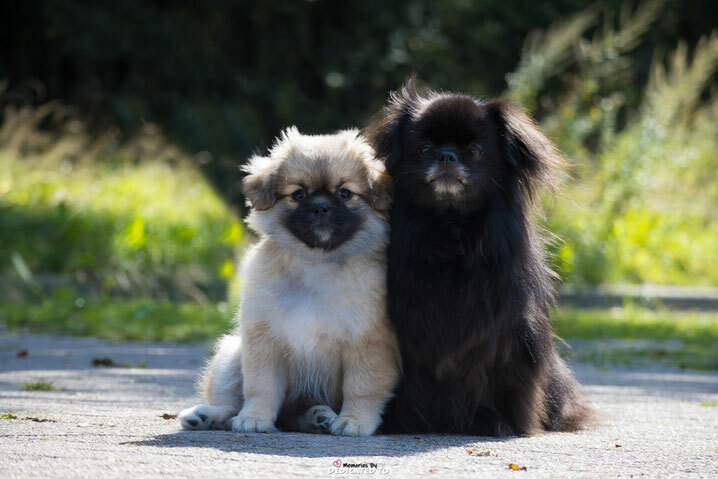 We have to say thank you to our friend breeders that borrow us their outstanding males for showing and for the chance to work with several pedigree's and to breed with lovely temperaments and types in our breeding programm. We show our Tibbies because it is excellent for the reputation of the breed and ofcourse because we are proud on our beautiful tibbies, showing have already produces a lot of outstanding show results! Also our own bred tibbies are receiving outstanding results at the shows in our country and also abroad. But only champion titles say nothing concerning health and the character of a dog. For us health stands before titles or colors. 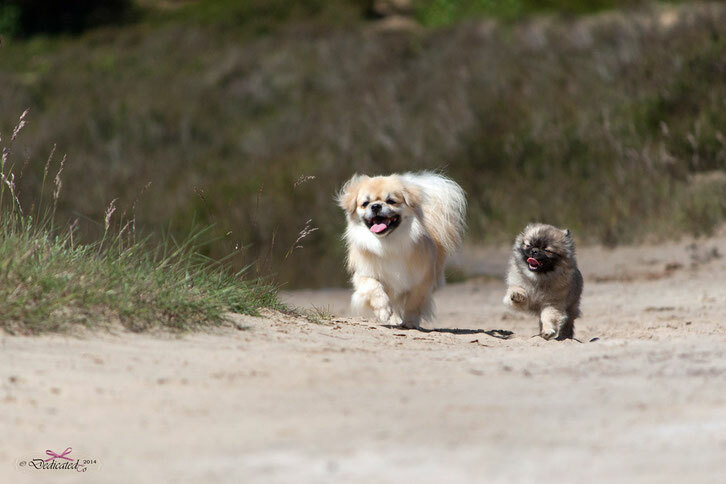 Most important for us is to breed with tibbies that are having an excellent health in body & mind. We think it is very important to test before breeding on the eye-diseases by ECVO-testing; PRA/CATARACT /LL/Entropion and to test on the knees for the disease Patella Luxation. Our prefix "Dedicated To..." say enough of how we think concerning our dogs! Under this prefix we hope to breed healthy and lovely Tibbies. In the year 2005 Sandra have gained a special training for Breeding. Sandra has received her diploma “Kynologic Knowledge 1” (KK-1) and we breed under the rules put by the Dutch Kennelclub (Raad van Beheer member of the FCI). 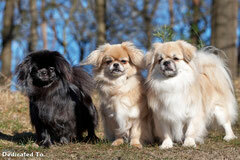 We are an active member of the Dutch Pekingese & Miniature Spaniel Club. This means that we are breeding on their breed regulations. All our Tibbies that we use for breeding have been showed with excellent results and have healthy eyes and knees. We love to breed our tibbies in all colours so every litter is a surprise :-). We are also member of some tibbie clubs abroad. Hopefully we have given you an impression of our opinion and goals for breeding. When you have questions or suggestions, don't hesitate to contact us, you are welcome to send us an e-mail or contact us by phone.